Across the music festival horizon, nothing quite evokes the same reaction as Glastonbury. People seem to drop an octave just to say the word. Perhaps it’s the extremity; in size, panache, media coverage, historical reference, sense of spiritual self…. 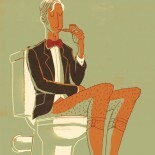 but the suspicion of the Porcelain Gentleman is that it’s because, much like the London Marathon, everyone is under the belief that one day they may participate. One day. This is not to say it is an entry level festival, quite the contrary, but more that the average management consultant from Teddington has enough self awareness that they will never look back and recall that weekend they drank varnish and went to a 4 day psytrance festival in Norfolk with a chap called ‘Moonstone’, but that they may, just may, tell the story of the time they drank cider and saw oasis, or was it Rita Ora? or, anyway they saw a band, held their mates hand and had a ‘Glastonbury moment’. As with most things in England, such a grassy patch of enjoyment and genuine fond memory, is surrounded by a quagmire of vitriol, loathing and suspicion. Glastonbury may be the pinnacle of structured and organised hedonism and pleasure but of course whilst history is written by the winners, the present is written by the naysayers and thus for every joyous remark on the fantastic collective enjoyment set amidst England’s rolling Somerset hills, is a muddy avalanche of rhetoric on how it is a corporate event, soulless, and now the play thing of the middle class who no not of enjoyment simply the ability to commoditise it. For the most part however, discussion on Glastonbury is not about its credentials as place of festive merriment – but the toilets. ‘Oh is this the way that the future’s meant to feel? Or just 20,000 people standing in a field?’ Jarvis Cocker sings and indeed this is really what this ‘establishment’ is. Strip back the staging, pyrotechnics and falafel vans and what you have is 250,000 people standing around and waiting for something magical to happen, surrounded by a line of toilets that can be seen from space*. Now this is a massive disservice to the year round effort that goes into authenticating and differentiating each tent from the next, but the fact is these really are just massive gazebo’s and if you dare to peel back the plastic layer all that is there is an old man eating beans straight out of a can waiting for the nod from security so he can start to dismantle it. The competition between people positioning themselves as festival veterans and ‘ardcore is so fierce one can only parallel it with, somewhat ironically, how investment bankers compete to pocket a fortune and decimate African coco markets. The festival toilet, or the ‘long drops’ as they are known at Glastonbury, is truly the apex of this competition, the separator of the men from the boys, it’s where your long standing hippy can lord it over his fair weather urbane peers. I cannot empathise how much deliberation and conversation there are over the portoloos – they usurp the headline act with change to spare. The question is – why? Whilst empathetic to the fact that 4 days of lager soaked urine and narc pumped excrement hardly conjures the majestic whiff of a new born babies head, one has to factor in a fair dose of pragmatism and humour to proceedings in a way that differs from reviews of other establishments. No loos ever have toilet roll – one can only imagine how many people fall victim to this every hour the gates are open. Some Loos (pictured) are covered in faeces to a point that raises the question of whether any made it in the bowl, and yet, you’ve queued for so long, you just have to find a way. 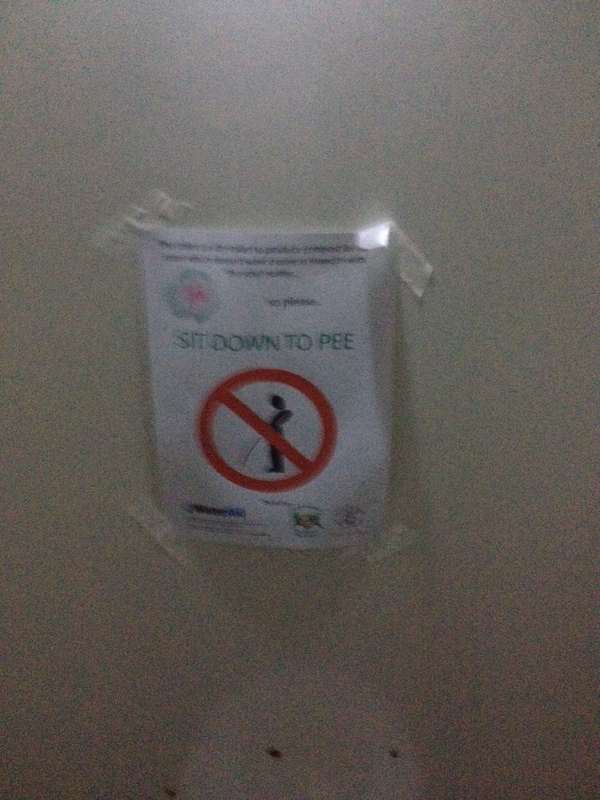 But all the loo’s, in their own way are basically making the best out of the situation they face; incessant and unrelenting abuse by a gathering of people who are they to ingest and repel things from their bodies in an excessive manner. The question therefore should be – what did you expect? Perhaps more photos (The Porcelain Gentleman’s phone died and thus so did his cameraman) of long queues and people looking distressed would counter the Porcelain Gentleman’s conclusion that they aren’t that bad, nevertheless it becomes apparent only when you have left the festival and are simply faced with the incessant reminiscing of how it was, that the eulogising of how terrible the toilets are is part of the ‘I was there’ badge of honour. 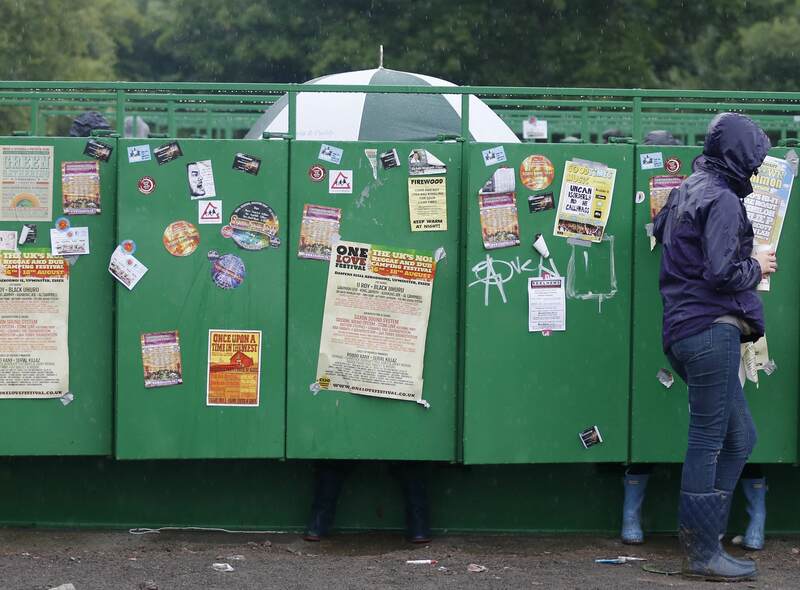 Whilst emerging from the office bathroom and telling colleagues ‘that was textbook’ is frowned upon, somehow stating that you survived the toilet experience at Glastonbury makes you Bear Grylles. I suggest these people regale such stories to bed pan wielding nurses who work in old peoples homes and whose annual salary is just over the cost of a Glastonbury ticket. Glastonbury toilets. Don’t believe the hype. 5/10. This entry was posted on August 1, 2013 by alfielay in Festivals.